Fan Mountain Observatory is open to the public twice a year, once in April and once in October. Join CAS members as we support this event with club member telescopes to share the night sky with the public. The Fan Mountain Observing Station is located 13 miles south of Charlottesville at the end of a 3 mile long gravel road (click here for directions). 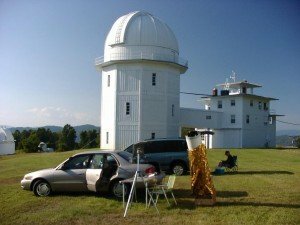 Tickets, which are free, are required for Fan Mountain public nights (except for Friends of the Leander McCormick Observatory). To request tickets for Fan Mountain Observatory Public Nights, send a self-addressed stamped envelope, along with the number of tickets requested (up to 6), to Fan Mountain Public Night, P.O. Box 400325, Charlottesville, VA 22904-4325. Send requests starting September 1st. Keep in mind the supply of tickets are usually exhausted by the third week of September. Please Note: Owing to the demand for tickets, groups cannot be accommodated at Fan Mountain. All requests must be accompanied by a self-addressed stamped envelope or tickets cannot be sent. You must also list the number of tickets (up to 6) that you need (individual groups larger than 6 cannot be accommodated at Fan Mountain Public Nights). 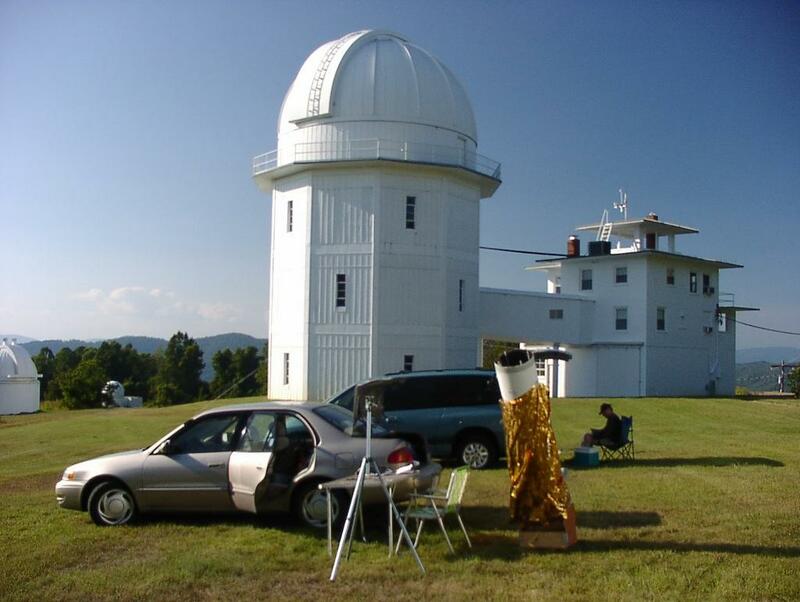 Friends of the Leander McCormick Observatory do NOT need tickets for Fan Mountain Public Nights. The staff will have a list of Friends at the Observatory. Tickets will be mailed out 2-3 weeks prior to the public night, on a first come, first served basis until the supply is exhausted. Again, only requests with a self-address stamped envelope, and a number (up to 6) of tickets requested can be accommodated.